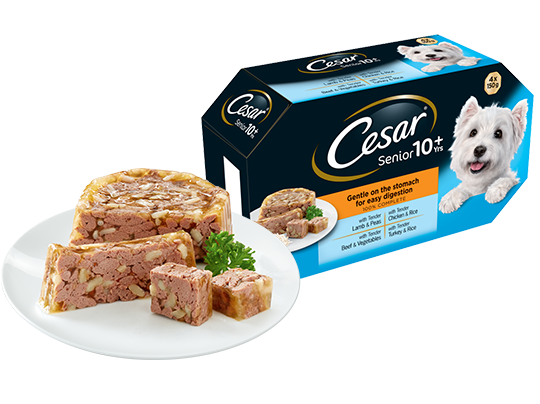 Succulent recipes in sauce or in jelly your senior dog will simply love, specially crafted for his needs. Lovingly prepared to be delicious and delicate, because times passes but nothing beats the joy you feel when you see him content. See pack for full feeding instructions. Your dog can be regarded as senior from 10 years old. We recommend to feed a mix of senior wet and dry food. Feeding instructions: Allow a transition phase and adjust amounts according to your pet's needs. For more information on feeding your dog, please contact our Consumer Careline. Water should always be available.